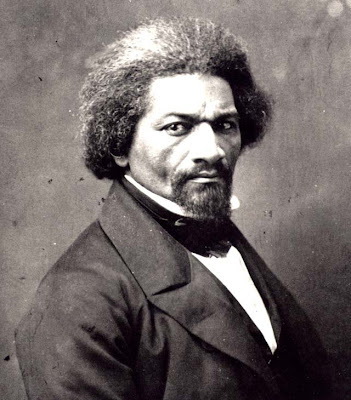 Below are two excerpts from Frederick Douglass' 1846 speech "My Opposition to War". The second, I think, is especially powerful. In "State Censorship: Handala & Hasbara," I wrote: "Hasbara, dear readers, is about more than spreading pro-Zionist propaganda, it is also about suppressing and distorting anti-Zionist speech and ideas." Well, the Zionists of StandWithUs-Michigan are trying to show us all just how much a small group of determined racists can accomplish on that front. Pluto Press, established in 1970, is one of the UK's leading independent publishers. Pluto Press is committed to publishing the best in critical writing across the social sciences and humanities. Pluto authors include Noam Chomsky, Sheila Rowbotham, Pierre Bourdieu, Jean Baudrillard, Frantz Fanon, Hal Foster, Augusto Boal, Susan George, Israel Shahak, Antonio Gramsci, John Pilger, Manning Marable, Edward S. Herman and bell hooks. Although StandWithUs-Michigan doesn't openly call for censorship, it is clear from their site that they want the UM to pull the plug on Kovel and Pluto because they express truths and ideas that Zionists can't stand. The sad part is that they apparently have had some success. When their call to pressure UM Press Director Phil Pochoda and UM President Mary Sue Coleman went out on August 13th, the link to the description for Overcoming Zionism: Creating a Single Democratic State in Israel/Palestine on the UM Press web site still worked but it doesn't any more (see before and after). Because it is a distributed title for Pluto Press, no one at UMP had read Overcoming Zionism prior to the Stand/With/Us diatribe. I and others read it after that assault, and had fully expected to gear up for, at least, a free speech defense. Though I had no trouble with the one-state solution your book proposes nor with a Zionist critique, per se-- we had, after all, proudly and successfully published Virginia Tilley -- I (and faculty members I asked to read the book, as well) were apalled [sic] by your reckless, viscious [sic], and unmodulated attack on Zionism and all Zionists. For us, the issue raised by the book is not free speech but hate speech. Perhaps such vituperative and aggressive rhetoric works for the barricades, but it cannot be countenanced or underwritten by the university or the university press, even in this peripheral, distributed capacity. There are a few interesting things about this message. First, to his credit, Pochoda sees the StandWithUs-Michigan campaign for what it is--a "diatribe" and an "assault" on truth and intellectual freedom. Unfortunately, it is clear that Pochoda has a stunted notion of what qualifies for a "free speech defense"--strong attacks on Zionism and Zionists don't make the grade. Neither do "vituperative and aggressive rhetoric" (see "On Propriety, Power, and Social Protest"). I haven't read Overcoming Zionism but I've spoken with friends who have and are acquainted with Kovel and I've also read some of his other work; Pochoda's bald characterization of Kovel's book as "hate speech" strikes me as absurd. Interestingly, the whole process has been taken over by someone in a higher pay grade--"I am only marginally involved," says Director Pochoda. His statement "we have ceased shipping Overcoming Zionism" explains why the book description no longer appears on the UM Press web site. Before there was Overcoming Zionism, there was One Country: A Bold Proposal to End the Israeli-Palestinian Impasse by Palestinian Ali Abunimah. ... and before that there was Sharing the Land of Canaan: Human Rights and the Israeli-Palestinian Struggle also by Pluto Press and authored by another Palestinian, Mazin B. Qumsiyeh. I've written two previous posts about European/Ashkenazi Jewish racism against Mizrahi Jews here and here. The photo at right is of Israeli pop singer, Liel Kolet. Kolet is a Mizrahi Jew who was a contender for representing the Jewish apartheid state in the Eurovision song contest this spring. However, Israeli broadcaster Anastasia Michaeli Samuelson reportedly told fellow contest judges, apparently referring to Kolet, that "Israel should avoid choosing a performer with an 'Arab look' " (Nathan Burstein, "Teapacks fails to push button in Eurovision semifinals", Jerusalem Post, 13 May 2007). And that they did. Kolet was not selected and a group with a rather lower average melanin endowment went to Helsinki instead. Of course, none of them should be there in any case as their appearance violates the growing cultural boycott of Israel. In 2007, while serving as a panelist on the committee to select Israel's representative to the Eurovision Song Contest, she was quoted by the news Web site Ynet as referring in seemingly negative racial terms to contestant Liel Kolet, a Jewish pop singer then contending for a Eurovision spot. Israel, Michaeli said, according to Ynet, shouldn’t be represented by a singer who "looks Arab." "We should select people who can represent us on more than the artistic level. ... We should also consider how they would represent the country," Ynet quoted her as saying. "I am looking at this competition from a Zionist point of view." The video clip below is just three months old and comes originally from Israeli state television via Mosaic (the interview on that site starts at 21:12). In it the powerful neocon and editor of Commentary Norman Podhoretz advocates and predicts a US attack on Iran before Bush leaves office. If you think about circumcision--male genital mutilation--at all, then you probably won't think about it the same way after watching the two videos below. I've been thinking it about in the context of barbaric cultural and religious practices. And before you buy into the rubbish about the medical benefits of circumcision in HIV prevention, be sure to read "The Use of Male Circumcision to Prevent HIV Infection" by Doctors Opposing Circumcision. You [Corrigan] claimed that the mural is "conflict centered", represents a "culture of violence", and that you "won't allow hatred towards Jews on these walls." You have given no evidence to justify these claims, only pointing to the mural's portrayal of Handala and a Palestinian house key with 'Al-Awda' (the return) written in Arabic calligraphy. Of course, freedom of expression and the struggle against oppression are such core components of Jewish culture that the Jewish community rose up nearly as one in howls of protest over this blatant state censorship. Even though many Jews were disturbed by the imagery they realize that no one's freedom of expression is safe unless everyone's freedom of expression is safe and that freedom means nothing if it doesn't safeguard speech that some find offensive. NOT! In fact, the mainstream Jewish community apparently backed this state censorship to the hilt and is likely responsible in no small measure for Corrigan's distorted, philo-Zionist reaction. Rabbi Doug Kahn, executive director of the Jewish Community Relations Council, called the key and Handala (above Edward Said's left shoulder in the mural)--both well known symbols of the Palestinian right of return--"blatantly offensive symbols" and "praised Corrigan" for his censorship. San Francisco Hillel director Alon Shalev "was irked by the presence of Handala, a Palestinian cartoon character symbolizing violent resistance [sic] to Israel". Hasbara, dear readers, is about more than spreading pro-Zionist propaganda, it is also about suppressing and distorting anti-Zionist speech and ideas. Now, after more than two years of struggle for simple freedom of expression, the SFSU GUPS chapter has apparently been beaten into submission and agreed to a version of the mural sans Handala and key. Shalev says, "We feel the moderates within the Palestinian movement are the ones who have won and that's a good sign for us." He's right about that "good sign for us" bit, suppressing the symbols and the very idea of the Palestinian right of return is a key Zionist goal and that is exactly why so many faux peace activists, especially Jews, will shed gallons of crocodile tears over "the occupation" (1967, but not 1948) but will barely, if at all, mention the Palestinian right of return. Millions of exiled Arabs returning to their homes and land in Israel would seriously disrupt the violent, racist project of Jewish supremacy--the primary goal of the phony and unjust "two-state solution." Thanks to blogger Um Khalil for the tip on this story. Norman Finkelstein's site has a page that explains the symbolism of the imagery of the original mural (see bottom half of page here). See also "Handala Banned Again"
Last May, I told you about the paid fellowships for hasbara operatives to further Zionize Wikipedia. Well, from Ohmy News via the Pan-African News Wire comes a recent article by Ludwig De Braeckeleer entitled "Wikipedia and the Intelligence Services." I have confirmed most of what De Braeckeleer writes about the Entebbe article, although the editing ban has now been lifted. Jayjg, Beit Or, and Nadav1 are three veteran Zionist editors who were active in suppressing material embarassing to supporters of Israel. Agha Nader made a valiant effort but in the end these thugs beat her down. The De Braeckeleer article then goes on to identify infamous editor SlimVirgin, another Zionist, as the pseudonym of Linda Mack, who is also identified as an operative of Britain's MI5 intelligence service and apparently worked to place the blame for the 1988 Pan Am Flight 103 bombing on Libya. Okay, that's probably more than you cared to know but read the article and follow some the links in this post if I've piqued your curiosity. Here's an update from the Committee to Defend Catherine Wilkerson via the group's announcement list. It's been slightly reformatted for readability. First, apologies for getting this update out rather late. Preparing this report was delayed by the unexpected death of Dr. Wilkerson's father last Friday. You can read the obituary for James Arthur Creamer at <http://www.legacy.com/Link.asp?I=LS000091606300X>. A hearing was held on July 24th on Dr. Wilkerson's motions to dismiss and for an evidentially hearing. Judge Pollard-Hines ruled against Dr. Wilkerson on both motions and trial was set for October 4, 2007. Although we had hoped for a different outcome, this result was not unexpected and Dr. Wilkerson, her attorneys, and Committee members remain undaunted in their efforts to secure justice and support freedom of expression. In her ruling, the judge left open the possibility that dismissal might be appropriate after evidence is presented at trial and Dr. Wilkerson's attorneys are preparing a defense, including expert testimony, aimed at that very outcome. Defense attorneys will also present evidence about the retaliatory nature of the charges against Dr. Wilkerson; this was bolstered by discrepancies in the remarks of the prosecutor at the recent hearing. Dr. Wilkerson was interviewed by Robert Larson on LUCI radio in late June and that interview is now available online at <http://www.kuci.org/podcasts/?ShowID=668%20>. Also, defense attorney Buck Davis has been asked to speak about Dr Wilkerson's case on an upcoming edition of "Law and Disorder" which airs at 10 AM EDT on Pacifica radio station WBAI 99.5 FM on Mondays. We'll let you know when the recorded interview is available online. Just under two weeks ago we asked you to please call and write to Washtenaw County Prosecutor Brian L. Mackie to ask him to drop the charges against Dr. Wilkerson. Thanks to everyone who has done that and if you haven't gotten around to it yet then it's not too late to do it now. The case number is DR5-07-137 SM. Mr. Mackie's office phone number is 734-222-6620. For your convenience, we have prepared a sample letter below that people can use or alter as they wish. I am writing to urge you to drop your office's charges against Catherine Wilkerson, MD. The police record shows that Dr. Wilkerson did nothing except issue verbal medical directions and necessary criticisms to police and emergency medical personnel regarding the treatment of an arrestee who had become a patient in her care, as acknowledged by University of Michigan police officer West. During Mr. Blaine Coleman's arrest, there were two instances when Dr. Wilkerson determined that the actions of police or emergency medical personnel placed Coleman in a life-threatening situation. As a physician and a conscientious human being, Dr. Wilkerson had an obligation to protest and advise. No good purpose can be served by prosecuting a medical doctor for doing her duty and nonviolently exercising her First Amendment rights. Please drop the charges. It is NO CRIME to protest against warmongers. It is NO CRIME to complain about police brutality. It is NO CRIME to complain about dangerous medical malpractice. Dr. Catherine Wilkerson will fight back. Will you stand with her? Americans are inclined to believe that the Supreme Court is the deus ex machina that regularly saves American democracy from itself. This view is difficult to support by the actual decisions of the Court. ... there is not a single case in the history of this nation where the Supreme Court has struck down national legislation designed to curtail, rather than to expand, the key prerequisites to popular equality and popular sovereignty. Source: A Preface to Democratic Theory by Robert A. Dahl (Chicago & London: Univ. of Chicago Pr., 1956) pp. 58-59. Elsewhere on page 59, Dahl lists the "key prerequisites to popular equality and popular sovereignty" as "the right to vote, freedom of speech, freedom of assembly, and freedom of the press."